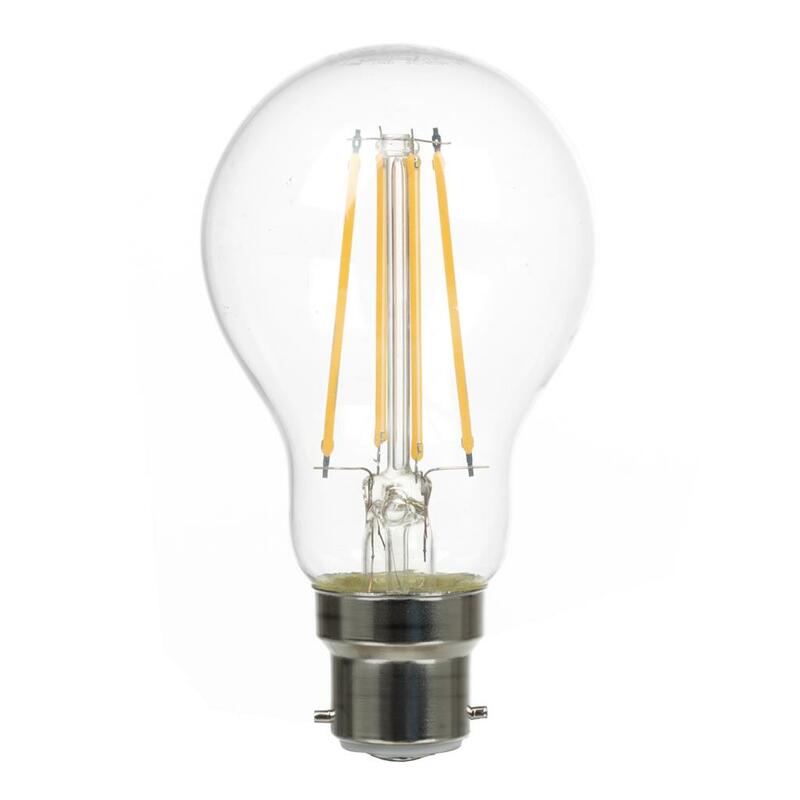 A striking, hand made lamp in solid brass. 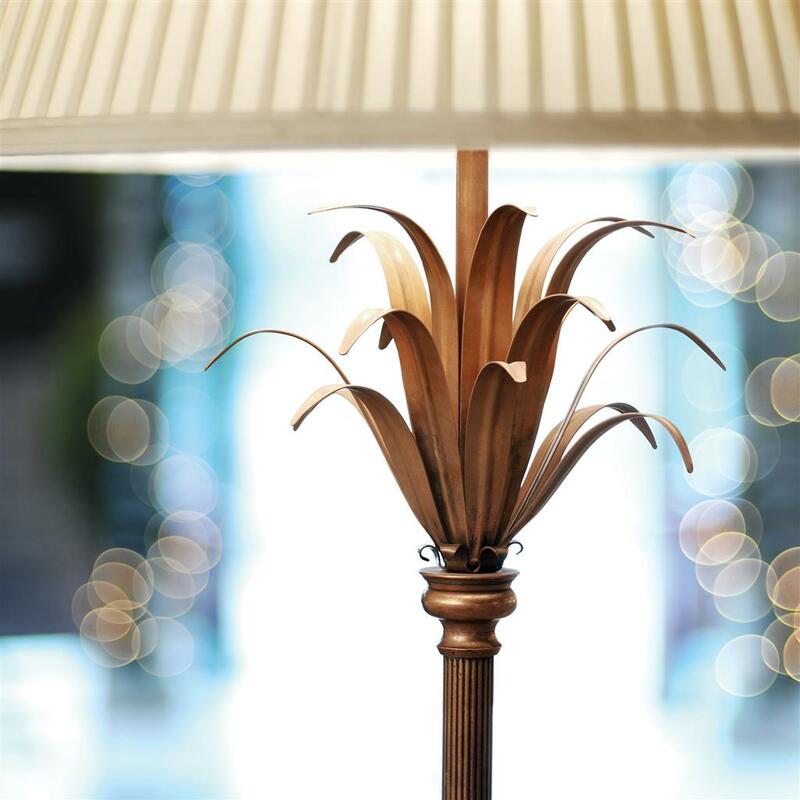 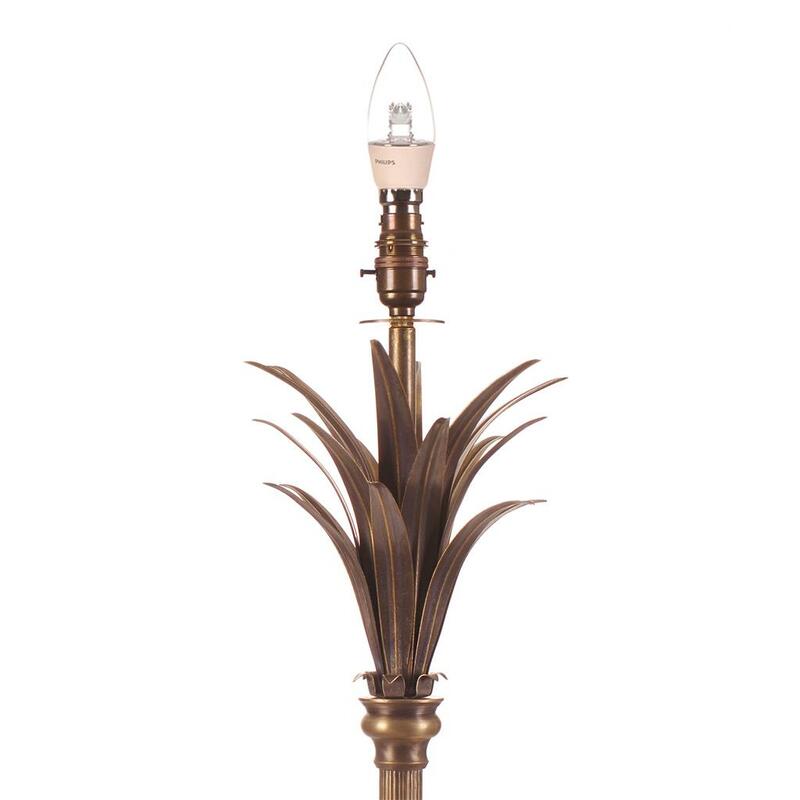 The Regency has an intricate design with a ridged stem and a flared palm leaf-like design coming out of the stem, below the bulbholder. 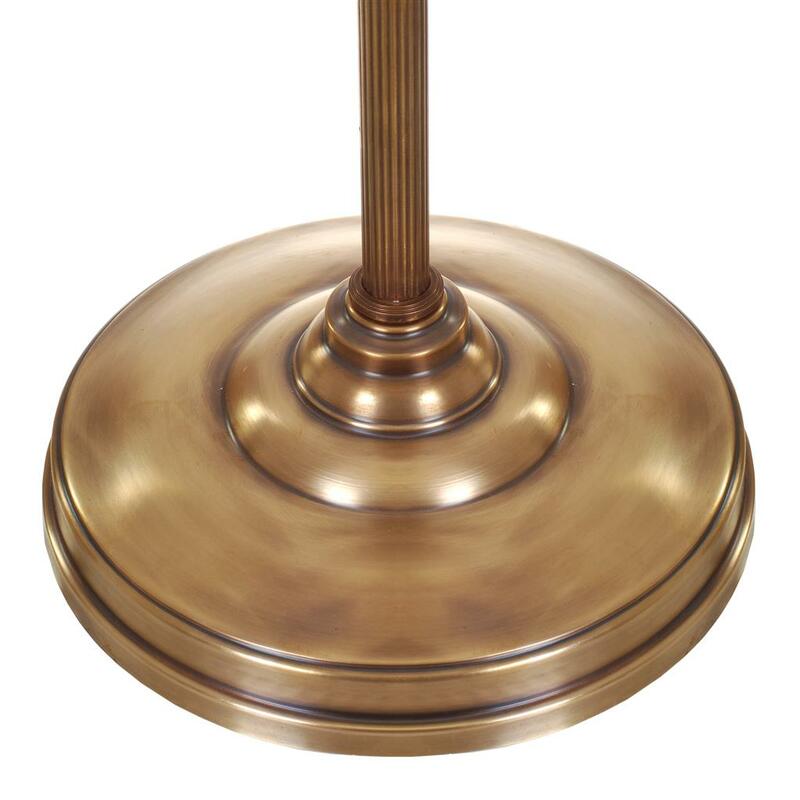 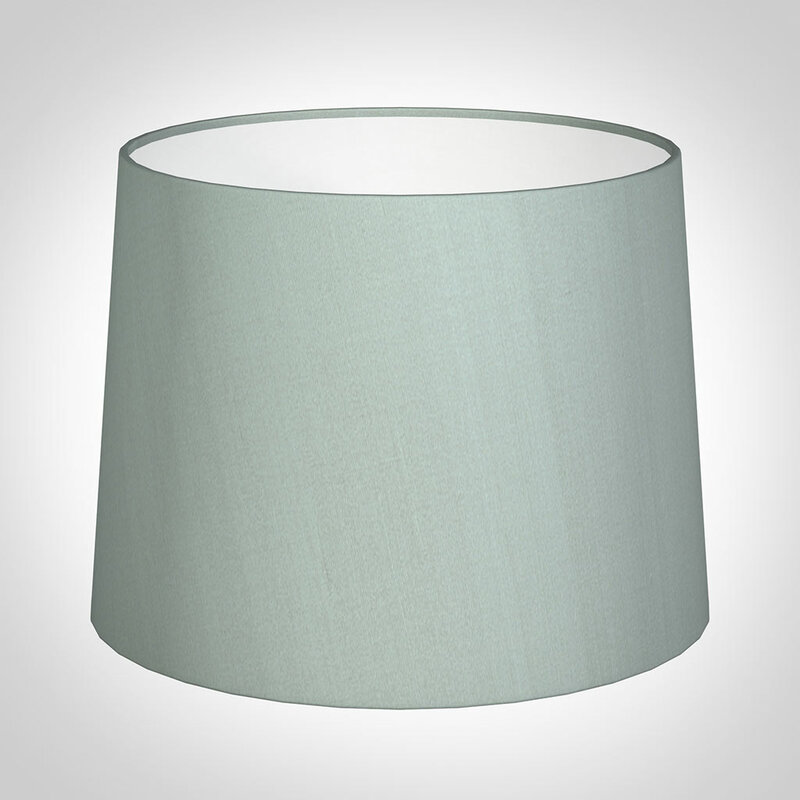 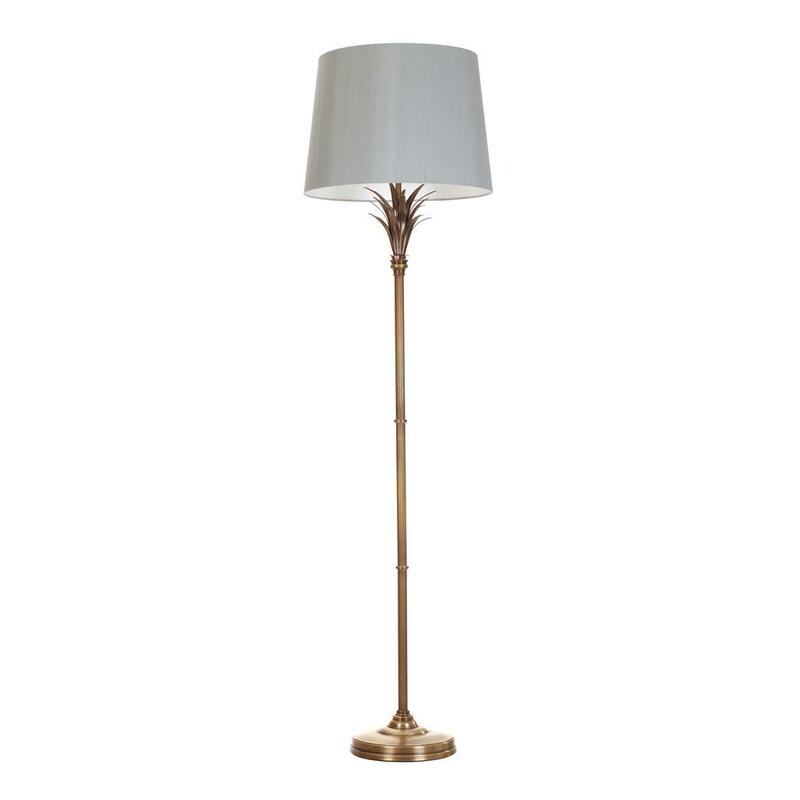 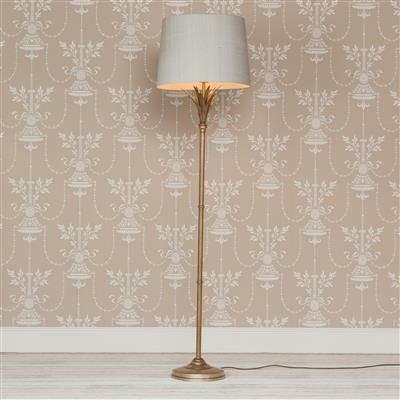 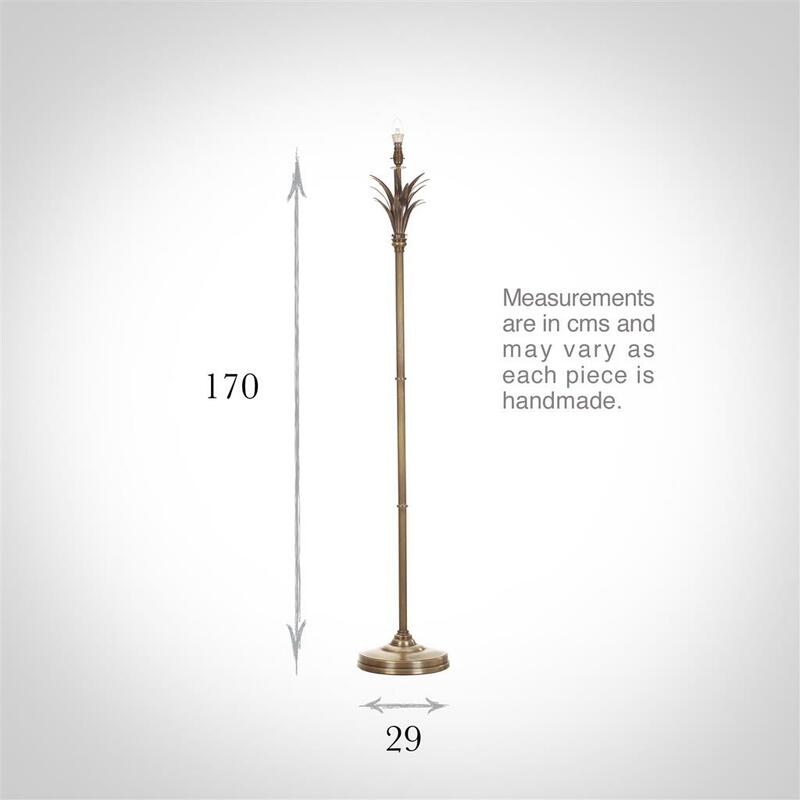 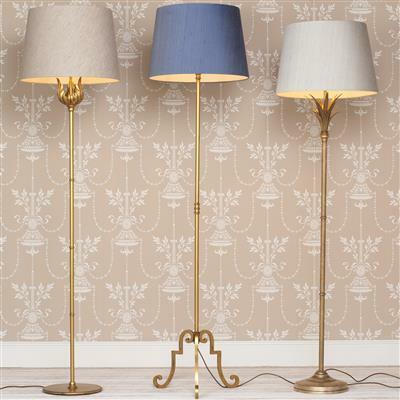 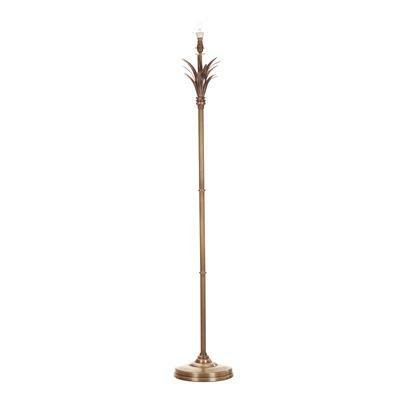 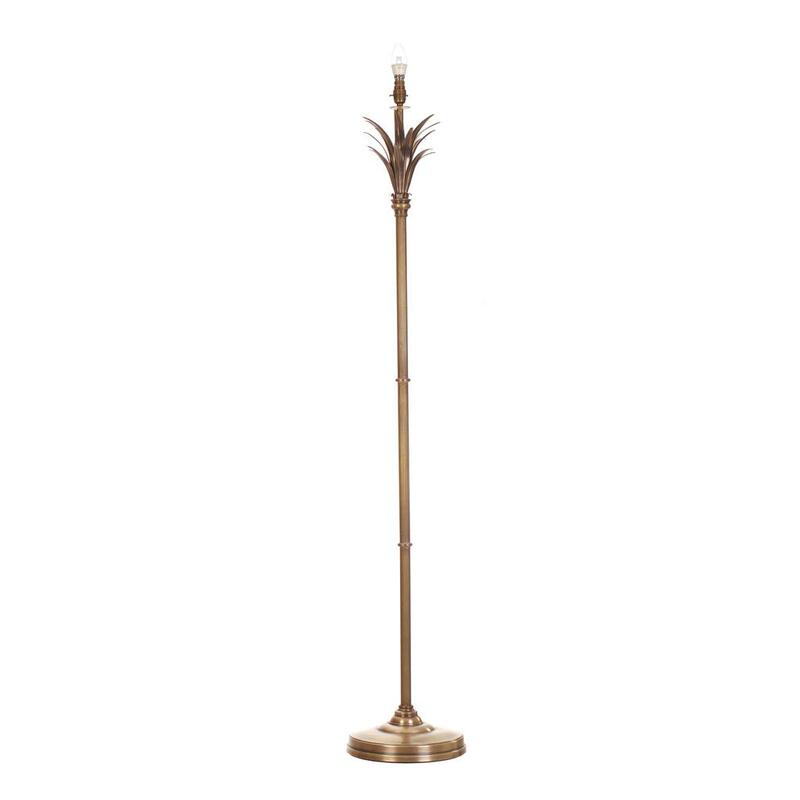 This Regency Floor Lamp is available in natural brass that has been lightly antiqued.